This book made me feel every single feel that can be felt. Seriously. Was I the last person on this planet to read this book? Perhaps. If you're one of the holdouts please get to the nearest library/bookstore and get your hands on a copy. It's brilliant. This may be the best review I have ever read. And I completely agree. Thank you ever so much ;) There really are no words for this one. Just FEELS. I'm not even looking at your review because, I AM JUST CRACKING THE SPINE OF THIS EXACT BOOK RIGHT THIS SECOND! How uncanny is that? Great minds or something like that. I hope you love it! Really? I'll add it to my wishlist then. Okay... I need to cave and buy this! Amen. It really is that fabulous. Amen indeed! I was a bit nervous that it wouldn't live up to the hype. It does! I typically don't read YA either, I'm glad I made an exception ;) I won't lie, this is a tough book to read at times. As my librarian said when I checked this out, "Oh, it's one of those jolly books about kids with cancer." So yea, definitely not an easy read but it's so worth it! Absolutely Jennifer, this is the best emotional roller coaster book ever. And I really think it will pass the test of time. I couldn't agree more Marce! 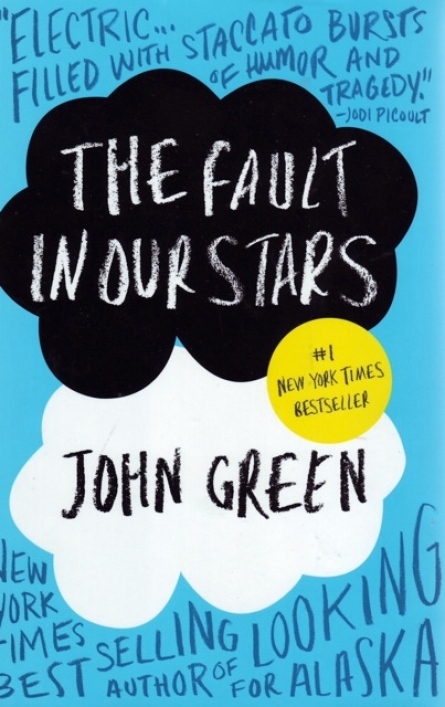 Loved The Fault in Our Stars and wanted it to win the Printz! AWESOME review, I got to it in Jan ... woot woot! Thanks! :D I'm glad you did! I must be the last person to read this book! It seems like EVERYONE has! I hesitated reading this book because of the subject matter. Just this week, I caved in. My daughter had asked for this book for her birthday so I decided to read it too. I can't believe a book can be so sad yet so uplifting at the same time! It's so worth the read. Oh, I'm so glad you read it! Wasn't it beautiful?? The saddest subject matter on the planet, and yet the most hopeful book. Sigh :) I hope your daughter loves it too! I agree completely!! I cried through the last half of the book. I miss Augustus and Hazel! I read this about a week after you, so no, you weren't the last, I was. And you're right, every feeling. I finished and was in the best place and the worst place at the same time. The quality of this book is amazing. 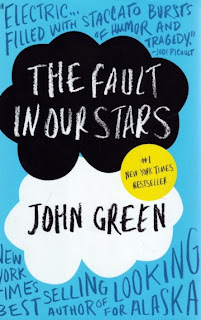 I'm so glad you enjoyed it as much as I did :) I really need to read more John Green!